Built-in Refrigerators are one of the most important appliances in your home. They run 24/7 for their entire lives to keep your food items at optimum freshness. At SubZero Wolf, you will find a wide range of Built-in Refrigerators with great creative designs and functional features. These are available in many configurations and a wide variety of sizes. These built-in refrigerators complement any kitchen’s style. It looks great for your kitchen. Whether you wish to upgrade your kitchen or plan to buy a new piece of equipment to match your surrounding cabinetry, at Sub-Zero you will find the best high-end refrigerators to suit all your needs. 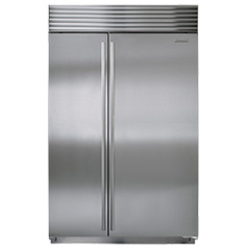 So don’t waste any more time and buy this amazing stylish built-in refrigerator.